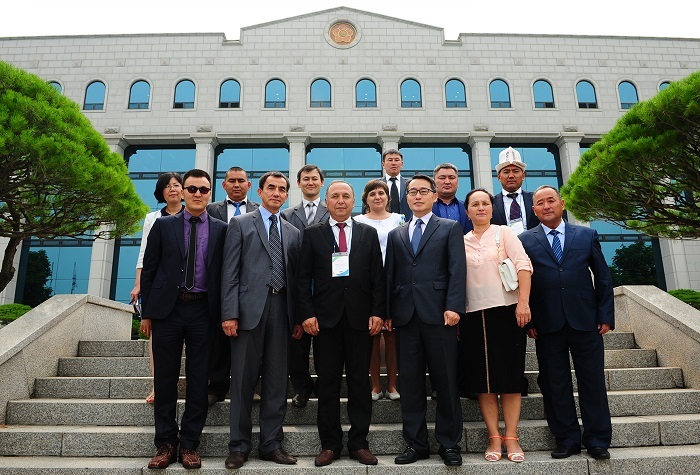 Ten Election ICT experts from the Kyrgyz Central Election Commission (CEC) for Elections and Referenda visited the National Election Commission (NEC) on Tuesday 7th July as part of the A-WEB EMB Capacity Building Program. 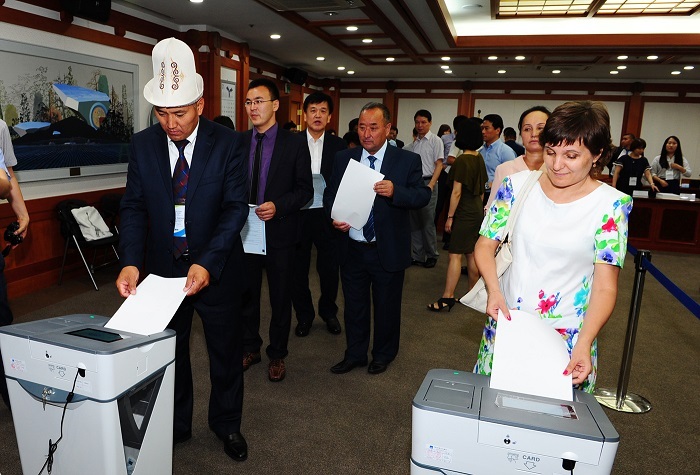 This program will introduce a Precinct Count Optical Scan (PCOS) system, which will be used in the General Elections in Kyrgyzstan this fall. Heo Cheol-hoon, Director General of the Planning Department, greeted the guests with welcoming remarks before they were introduced to the Korean election system, including experiencing a simulation of the voting and counting system. The CEC officials also toured the Commissioners meeting room after watching a video that introduced the NEC and the Korean electoral system during the visit. The training program, hosted by the Association of World Election Bodies (A-WEB) in Song-do, runs from 4th July to the 11th July, and they will participate in the program for the successful introduction of the PCOS system in Kyrgyz Elections and for the successful planning of election management. In addition, the delegates will have a hands-on experience of installment, operation and error management of the PCOS system.